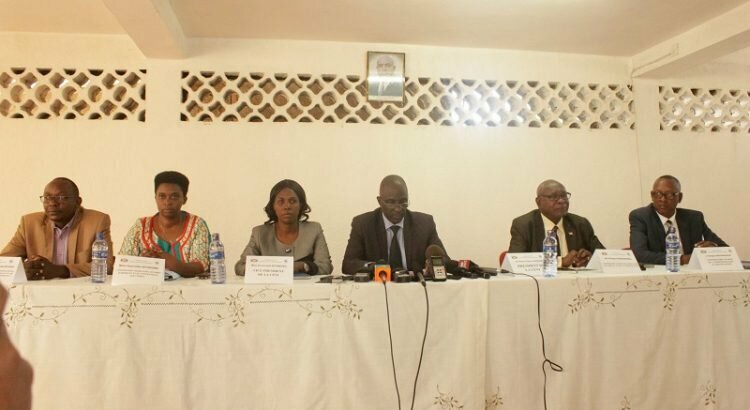 BUJUMBURA March 30th (ABP) – The Chairman of the Independent National Electoral Commission (CENI), Dr. Pierre Claver Kazihise, held in Bujumbura on Friday March 29, 2019, a press briefing on the campaign to build democratic culture for the success of the 2020 elections. Dr. Kazihise said that in the preparation of the elections, the creation of the democratic culture is an essential activity since it will provide an opportunity to recall the principles and values ​​of democracy: human rights, attitude, behavior and the positive role that every citizen must have. He added that it will also inform about the dangers that the process may face such as improper manipulation or management of litigation. The CENI chairman also pointed out that in order to maximize the participation of everyone in the pre-election awareness campaign, the CENI has already met with administrative officials such as provincial governors, heads of public institutions, political parties, religious denominations, civil society associations and media professionals. He added that such exchanges will be organized among various categories of people, especially young people, women, students and pupils in order to reach a large section of the population, he wishes. Dr. Kazihise asked the persons in authority of the above-mentioned institutions to support them in mobilizing the participants. He further indicated that the budget allocated to the elections will be communicated later after the adoption of the electoral code. Regarding the case of returnees who are returning to the country of origin while the enrollment of voters has already taken place, he said that their case will be treated.